For over 2,000 years, Hinoki Oil has been used in Japan and other parts of Asia. Its purpose was to treat many types of rashes, cuts, abrasions and other skin ailments. For most of that time, Hinoki Oil was only affordable to Emperors and the very wealthy. It was their daily ritual to pour Hinoki Oil into their bath water before bathing. Hinoki Oil is still used throughout Asia for its natural astringent quality which helps kill bacteria, viruses, and fungus on the skin. SCALP THERAPY: In 1987 Hayashi Worldwide started using pure Japanese Hinoki Oil in our System Hinoki line of hair products. 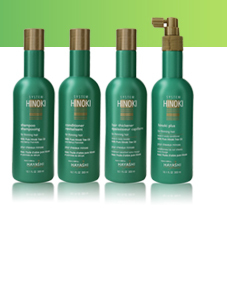 These four products are formulated to drive maximum benefit to the scalp from pure Hinoki Oil. And since 1987, our System Hinoki products have been used by thousands of satisfied customers in many countries around the world, and the only side effects have been compliments! For fine and thinning hair, system Hinoki, is a therapeutic regimen of synergistic haircare products that interact to promote healthier hair growth. Shampoo-Volumizing cleanser for fine and thinning hair. Contains pure Hinoki Oil. Hair Thickener-A highly concentrated leave-in formula of "weight-free" ingredients that infuse the hair fiber with increased diameter. Contains pure Hinoki Oil. These products are available individually or work even better as a set! Shampoo- Moisturizing, nourishing shampoo for damaged, over processed hair. Renews dry hair and won't affect freshly permed or color treated hair. Adds body and life to damaged hair. Leave-In Repair Cream- Instant hair repair that stays with you all day. 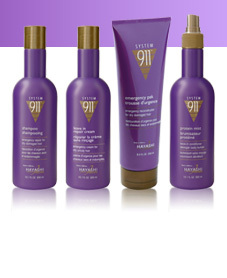 Promotes a silky softness, while adding a fabulous texture and shine. Protects, and tames unruly locks. Never leaves hair feeling greasy. Protein Mist- Leave-In Bodifier, protector, detangler. Spray on protein supplement boosts hair's texture, shine and condition. Also effective as a pre-wrap for perms; post perm, it eliminates chemical odors. Leave-in for all day protection. 911 Emergency Pak- Deep reconstructor. Instant relief for hair that is extremely damaged, dry, brittle, over processed, permed or color treated. Amazing, fast-acting, reconstructive formula, won't build-up or over proteinize. 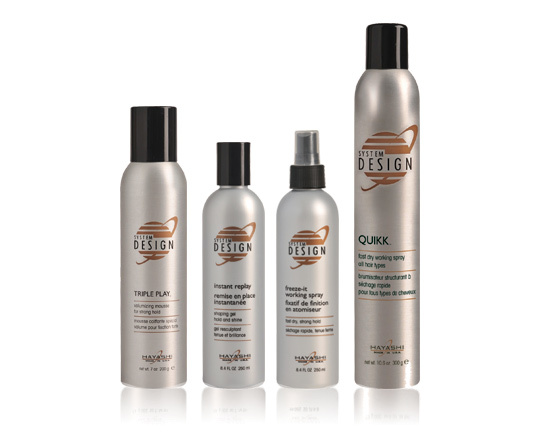 System Design offers a complete range of design tools for the ultimate transformation; providing texture, form, hold and shine. 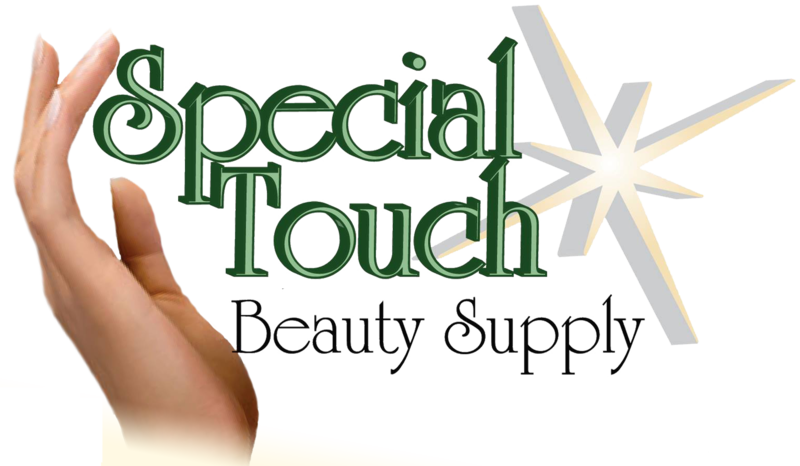 Triple Play Mousse- Conditioning mousse, with touchable body; adjustable hold. Instant Replay Gel- Shaping Gel, strong hold, flexible control, superior shine. Quikk Spray- Fast Dry, fine mist design spray. Humidity resistant, enduring shine.